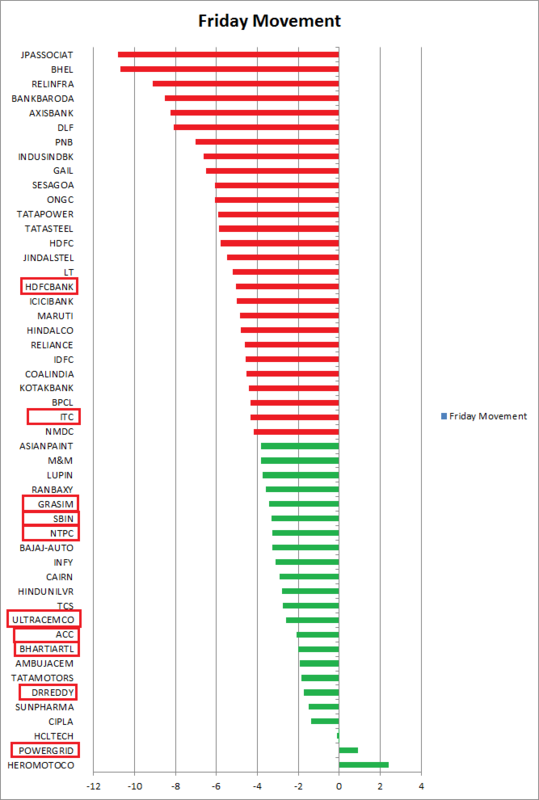 Rule-X has made correct decision on buy side in case of 15 stocks and on sell side in 25 stocks (on basis of Friday event). 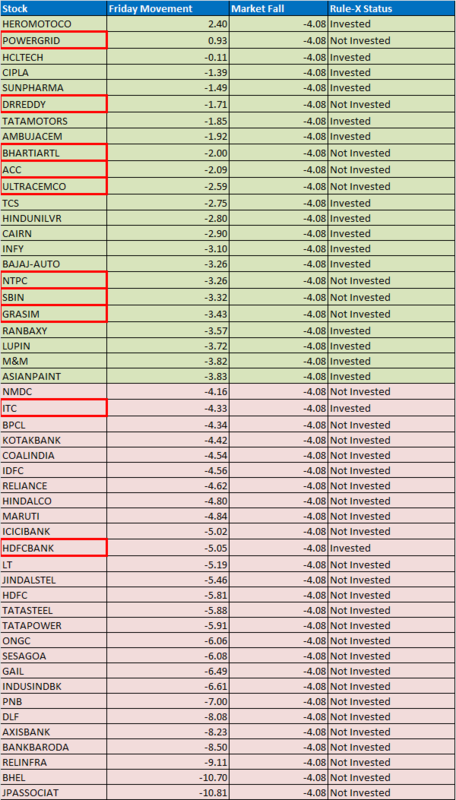 Hence, out of 50 stocks it has identified correct direction of 40 stocks (80% correct decision). Following table is showing the same information in details with numerical values. Here is visual form of the same data. This chart is showing visually, magnitude of deflection on each side. 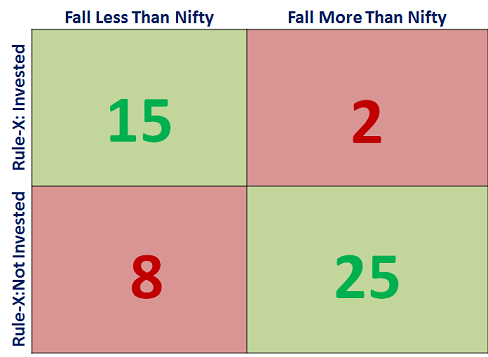 This chart is also showing the margin by which Rule-X has failed in both scenarios.